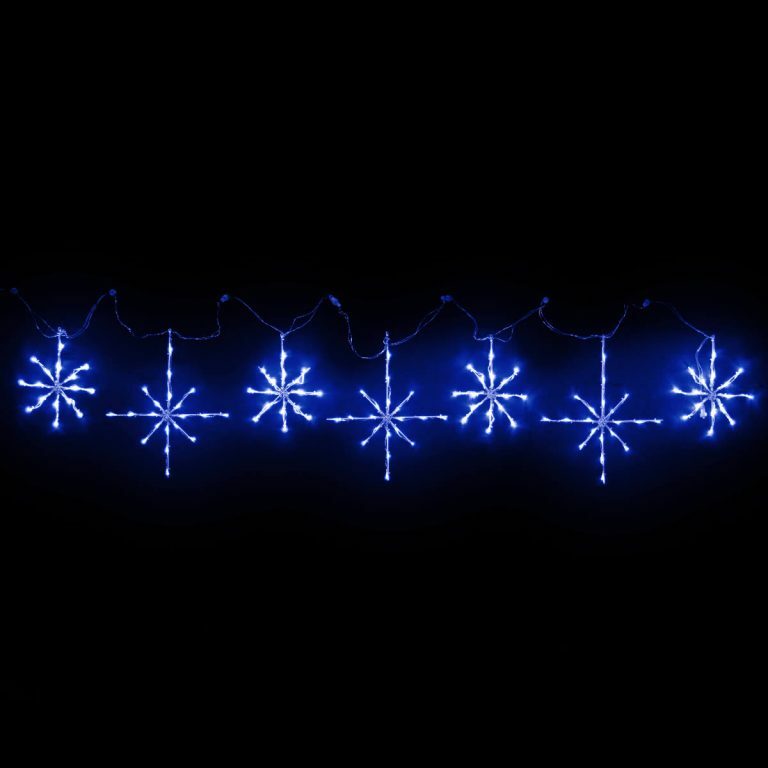 Light up the night and the home with this 3-Band Star Motif this holiday season. This magnificent star measures around 58cm in height, and features energy-efficient LED lights that will provide hours of illumination without running up your utility costs. 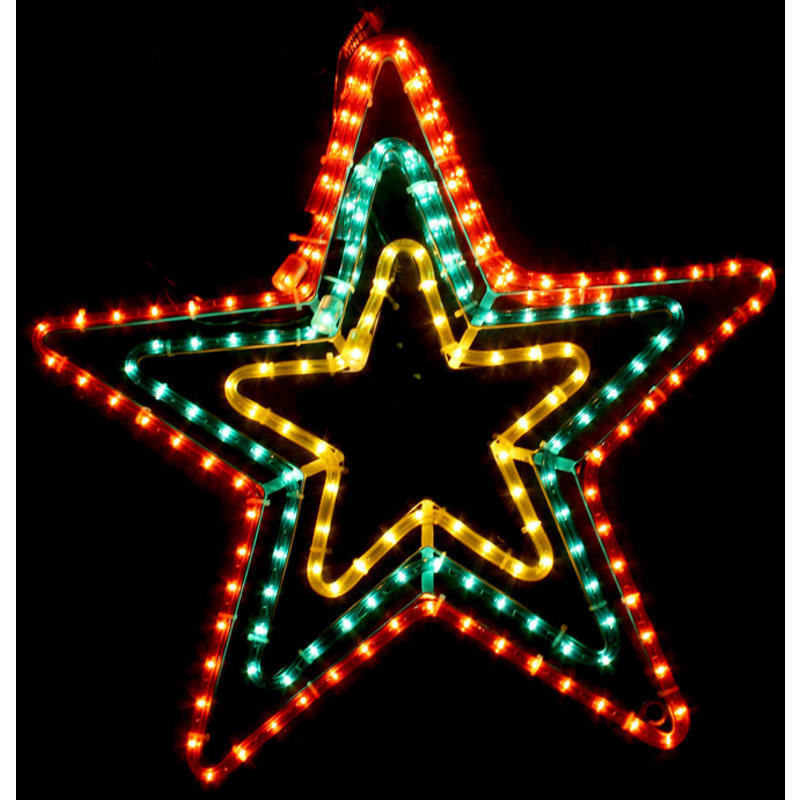 This gorgeous Christmas light accent features a star motif that titrates from red, to green, and finally, to the yellow centre. This is a simple yet extraordinary accent piece that will delight and awe year after year, and many may find that it comes to symbolize the holiday season and a sign that Christmas has arrived. Use this indoor or outdoor, as it would look stunning on a porch or patio, and would be equally as stunning hung near a Christmas tree or entry to the home. This is a beautiful accent that will bring your family years of joy and true holiday spirit.